We stock plains buffalo head mounts in limited quantities. These look great hanging on a wall in your house, cottage, lodge, restaurant, or hotel. Our Gxx codes denote individual pieces. If you would like to order a specific mount, please go to our Gallery to pick the exact one shown. Genus and species: Bison bison. Ranch. Widest width (horn to horn): 24"
Length (top of the head to the bottom of the head): 32"
From the wall to where the head is: 14-15"
The horns are removed for safety during shipping. There are screws that come with the buffalo head that are already drilled. Upon receipt of the mount, you just need to screw the horns in place. The small head mount is shipped by UPS for approximately US$50.00 anywhere in the lower 48 states. The should mounts ship by truck in a crate. The sample weighed 10 pounds before boxing. It will ship by dimensional weight. Shipping to Norway by airmail was US$99.05 as of April 2007. 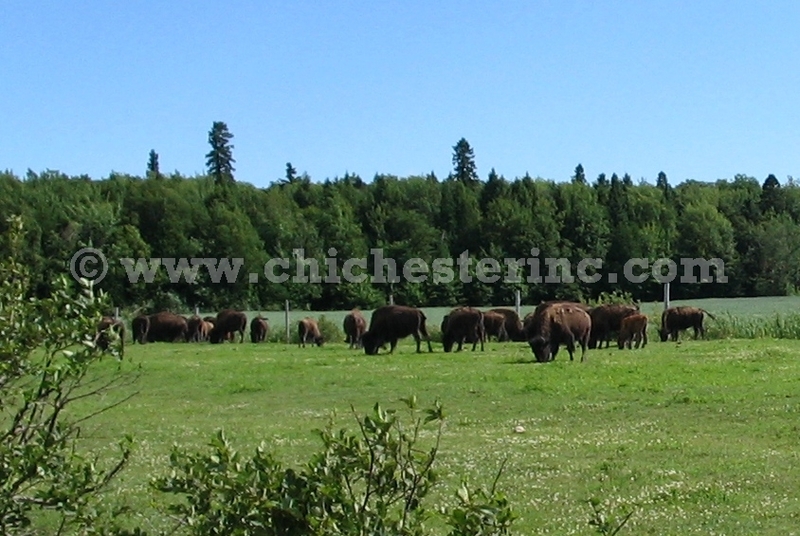 There are very limited numbers of wild buffalo roaming around remote parts of Canada. These animals are protected. 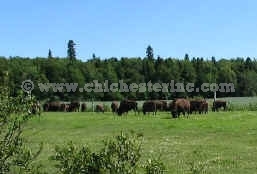 Nearly all buffalo products on the market (hides, heads, mounts) are from buffalo that were raised on ranches for meat. The buffalo are not killed just for the hides or heads. The Buffalo Head arrived today! WOW, it is so beautiful!! We are so satisfied with the head. Absolutely fantastic! We can`t wait for the lodge to hang it up, we will hang it up tonight in our house! 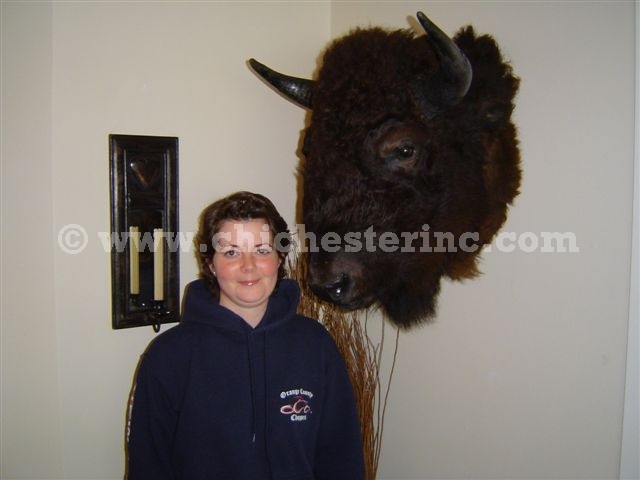 It`s an honour to have a Buffalo Head from America, in our home! We love it. We will send you some photos of it, when we have hang it on the wall! It has bean a pleasure to deal with you, Paul! We will probably deal with you later on!